Rex and the Bass: Blues Blast Magazine Album Review: Marty D. Spikener’s On Call Band – help! I need some GOOD BLUES! 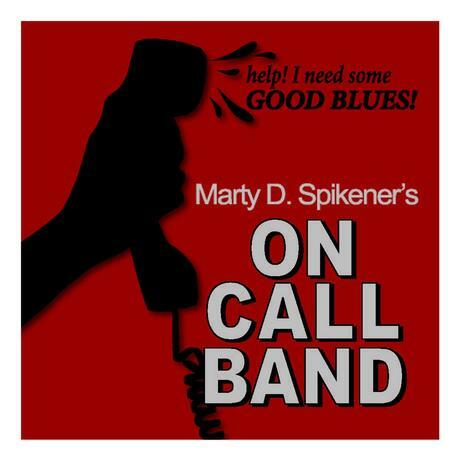 Blues Blast Magazine Album Review: Marty D. Spikener’s On Call Band – help! I need some GOOD BLUES! 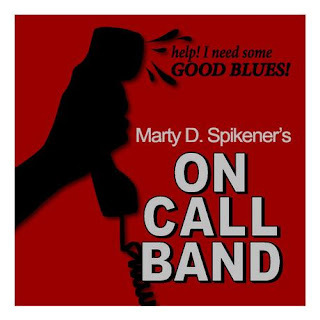 Marty D. Spikener’s On Call Band – help! I need some GOOD BLUES! Marty D. Spikener has been playing the blues for almost 40 years, and the St. Louis club scene is much richer with him perched behind his drum kit and growling out perfectly timed vocals. Marty D. Spikener’s On Call Band performs both originals and cover tunes, and their new album, help! I need some GOOD BLUES!, is a fine sampling of blues, rhythm and blues, and just a little touch of jazz. The On Call Band includes Spikener, as well as Chuck Loeb on harmonica and vocals and Doc Evans on bass, while Ryan Waked and Solomon Haynes share the guitar work. Paul Niehaus IV cut this disc at the Blue Lotus Studio (also in St. Louis), and it sounds like it may have been recorded live. I say this because there is a cool dynamic and a noticeable energy between the artists as they run through this 40-minute set, which works out well for the music they chose for the set list. Two-thirds of the songs on this disc are covers, and the On Call Band starts things off with a neat re-do of Don Robey’s “Ain’t That Loving You,” which was originally released by Bobby Bland in 1962. This is a straight-up electric blues tune that allows the throaty and soulful vocals to shine. Waked and Haynes each deliver clean guitar solos, and Loeb goes for a dirtier sound with his harp. Next up is the Paul Butterfield Blues Band’s “Born in Chicago,” which is faithful to the original, but here it is played at a slower tempo, giving it a Latin feel. The other covers are a diverse collection of American tunes, including a soulful take on John Hiatt’s “Feels Like Rain,” and the Louis Armstrong-inspired vocals on James Harman’s hilarious “Tall Skinny Woman.” But the standout is “Lord Help Me to Hold Out,” which was originally recorded in 1969 by Harrison Johnson and the Los Angeles Community Choir. This acoustic gospel song has a wonderful interplay between the harmonica and the inspirational vocals, while the backline of Evans and Spikener hold everything together. The three tunes that Marty wrote are solid, the first of which is the funky “Good Blues,” and this song offers up the opinion that the blues does not have to be a stone-cold bummer. Guest artist Bobby Schneck (Santana and Slash) provides the stunning guitar solo while the tone of Waked and Haynes’ rhythm guitars set the mood perfectly. Then there is the sobering “Guns of St. Louis,” a soulful plea for peace and sanity in the Gateway City. And the last of the originals is the light-hearted “Pill for That,” which is chock-full of slick drum fills courtesy of Mr. Spikener. Wrapping up this disc is “Walkin’ with Grover,” a tribute to Grover Washington’s 1975 soul/jazz chart-topper, “Mister Magic.” There are no horns to be found on this instrumental, but the guitars and Loeb’s harmonica fill in nicely. The band pushes the tempo more than the original, and Evans’ walking bass line transforms this song into more of a blues tune, though there is still an obvious jazz influence. Each player gets a chance to shine on this track, making this the perfect outro for the set. It is really cool that Marty D. Spikener’s On Call Band documented their sound so that listeners outside of the Show Me State can hear their music. help! I need some GOOD BLUES! Is a solid package, and it would be neat to here more from these fellows, so hopefully they will be heading back to the studio soon. But In the meantime, head on over to the band’s Facebook page to hear them for yourself and to find out where they are playing next!